When most people think of conditions that qualify for Social Security Disability insurance, they may not think of arthritis, even though it is the leading cause of disability in the U.S. Arthritis affects over 50 million adults, or one-fifth of the country’s adult population, according to the Centers for Disease Control and Prevention. Almost half of these victims report that arthritis limits the activities they can perform. When an individual’s work is among these limited activities, the individual may qualify for SSD benefits. The two most common forms of arthritis, rheumatoid arthritis and osteoarthritis, can prevent victims from performing job duties or even looking after themselves. Osteoarthritis, which generally affects weight-bearing joints, can make tasks such as standing, walking and lifting difficult. Rheumatoid arthritis, which often initially affects the extremities, may prevent victims from performing even light work that requires fine motor skills. In addition to preventing victims from performing certain tasks, arthritis may limit the conditions victims can work under. Someone with severe arthritis may need to change position every few hours, which would make sedentary work requiring prolonged sitting difficult. Arthritis may also impede victims in less direct ways. For example, rheumatoid arthritis can cause health problems such as fever and fatigue, which may make it harder for victims to keep up with their job duties. 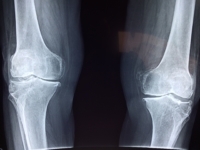 Pursuing SSD benefits for arthritis can be difficult because the severity and effects of the condition may differ substantially between individuals. Due to this variability, the Social Security Administration evaluates each applicant’s disability by determining the individual’s residual functional capacity. RFC indicates what kind of work an individual should still be able to perform in spite of his or her disability. If an applicant’s current job falls outside the scope of his or her RFC, the SSA considers the applicant’s age and employment history. If the applicant has relatively recent experience in a line of work he or she can still perform, the SSA does not consider the individual disabled. Applicants under the age of 50 who lack relevant experience are not considered disabled either, since it is feasible for them to train for new types of work. However, applicants who are over 50 and lack relevant experience can qualify for benefits if retraining is not considered reasonable. During the application process, it is crucial that people with disabling arthritis provide medical documentation of the condition and the resulting physical limitations. This documentation can significantly affect whether an individual is found fit to work or disabled. Applicants can also benefit from working with a lawyer, who can provide guidance on properly documenting and filing the claim to make a successful outcome more likely.